I am a self-taught floral designer. After moving to lovely Waiheke Island and having children I decided I wanted a career change from teaching...and Wildflower was born. Over the last 15 years Wildflower has blossomed into a personalized floral design company specializing in weddings and events. Now I am combining my teaching and floristry skills by offering unique courses in creating “undone” flowers …from an intensive professional course in starting a floral design business, to short floral workshops. Floral Workshops are also offered - from 3 hours to 3 days in duration- on creating hand-tied bouquets, floral crowns, arrangements, wreathes and garlands- or bespoke to your requirements. The Wildflower School is on Waiheke Island in Auckland, New Zealand. 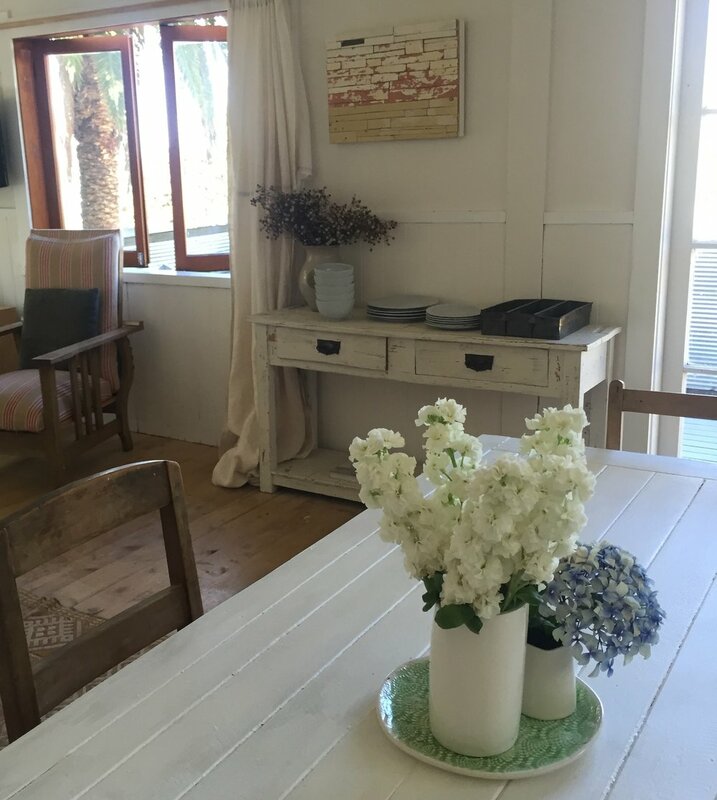 Courses and workshops are usually held in Wildflowers' little workroom, in our 1880's villa on Putiki Bay, or in Wharf Cottage- which is in the garden behind the villa....or we sometimes go to our friends at The Annex, Nourish Gardens or Goldie Estate. If you prefer to stay on the island while you undertake a course or longer workshop, we have accommodation available in Wharf Cottage- which is character-filled and has lovely sea views and 2 bedrooms. Email me on vicki@wildflowerwaiheke.com for more information on the courses, an Undone florist Course Prospectus and application form, and more details on the accommodation option. So look forward to seeing you on lovely Waiheke!